If you’re looking for some ways to take your daily restroom experience to the next level, you’ve come to the right place! Do you want to enjoy a luxurious lifestyle? If you’ve ever visited a hotel bathroom (most of us), you likely felt pampered and spoiled by the luxurious design. What makes a hotel luxurious go beyond the aesthetics and hospitality? Underlying high-tech gadgets are paving the way in the hotels and can be found in the rooms and restrooms of your high-end, 5-star hotels. 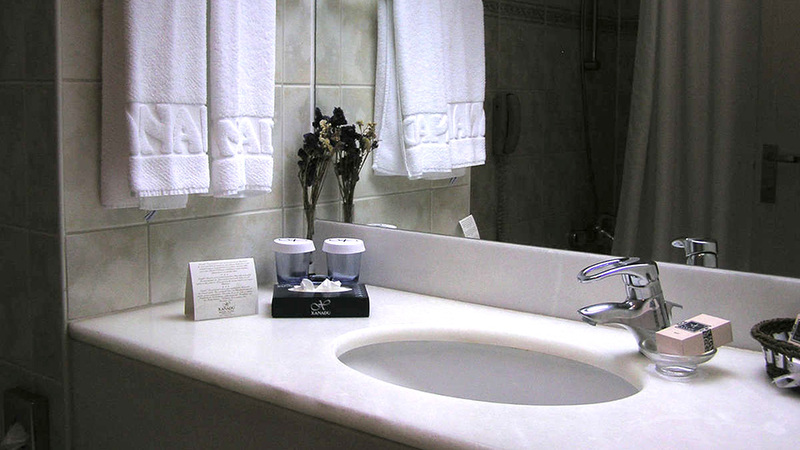 Many hotels build commercial bathrooms that are go outside of the box and exceed customers’ expectations. Great hotels go great lengths to impress their guests. They want them to come back. More and more leading hotels are implementing fun and fascinating tech gadgets to their room and commercial bathrooms. This makes what would be an ordinary experience, rather exciting for visitors. We present you with the best gadgets you’ll likely find in the luxurious bathrooms of your most-enjoyed hotels. These cool gadgets set the tone of your stay and make you want to come back. Check these out for some fun and great ideas that you could even try in your own restroom! Many 5-star hotels have installed body temperature detection systems in their commercial bathrooms. Once you step into the shower, the temperature system adjusts to find the perfect and comfortable settings for your body. It runs on automatic control, so you don’t have to adjust it manually. Can a shower glass be smart? Yes! With a simple switch, a transparent shower glass wall becomes opaque. Just the fun of trying it to check the effect leaves a memorable experience. It provides you with the privacy you deserve. 3. The cold floors are now heated! This tech gadget will make you forget your hotel slippers when you visit a luxurious hotel bathroom. A heated bathroom will make you forget and escape that chilly first step into a bathroom. As usual, a five-star hotel bathroom sets it to a comfortable level. It is rather warm and inviting, making you more relaxed. Who could have thought it possible to watch a movie or show on a mirror while soaked away in the bathtub in any commercial bathroom? Well, with the futuristic TV screens that are integrated into mirrors, you can watch anything in the mirror. The TV is totally invisible when it is turned off, allowing guest the complete mirror function. This tech is an out-of-this world idea for maximum bathroom enjoyment. Luxurious bathrooms in Japan where the first to implement the heated toilet seats and bidet toilets. If you’ve never used it before, it might sound stupid, but after the first trial, you would definitely love it. This water spraying bidet toilets and heated toilet seats are common in Tokyo but trust me, American 5-star hotels have it too. You don’t get to spoil yourself lavishly in luxurious hotels all the time, but when the chance comes, enjoy it to the fullest. Discover the finest tech gadgets and features that will make you forget your stress. For hotels that want to attain the luxurious status, it’s time to go off the wall and impress their guests.